George Müller (1805-1898) was a British preacher and director of Ashley Down orphanage in Bristol, England. He is known for his prayer life and utter dependence on God alone for the financial support of his ministry. In all, Müller supported over 1000 children in his orphanage and established over a hundred schools for educating children. Müller began his ministry connected to the Plymouth Brethren but found himself at odds with many teachings on doctrine and separation. In this book he shows his premillennial and dispensational background (p. 56), but also defends the current pietistic and mystic movements, “as true believers were contemptuously called in Germany” (p. 137). 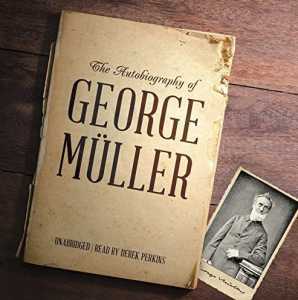 This autobiography is mostly a collection of entries into Müller’s diary and almost all of them are instances of how God supplied his financial needs through prayer alone, but these are also paralleled to the founding and running of the orphanage. Müller challenges the reader to follow the same path as his own but the reader will have to assess his own convictions in this manner.